Providing Your Gardening Needs and More. 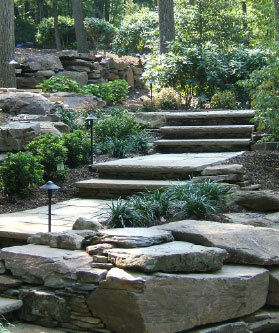 Molzon Landscape Nursery Inc. was started as a landscape design-build firm in 1982. Gerald Molzon began the business after graduating from Delaware Valley College with a degree in Ornamental Horticulture. Two years later Paul Molzon, with a business degree from Saint Michael’s College, came on board and the Garden Center was born. A few years later Mark Molzon became part of the team. Our history starts way before that with Roman, our grandfather purchasing the property circa 1920. It was here that he raised a family of five. Then Henry, his son, followed suit raising his family of five. We have grown from a small operation to full scale retail Garden Center and a Custom Residential Landscape Design & Build Firm. We have the best plants available and honest solutions to any and all landscape and plant questions. © 2019 Molzon's Garden Center. All rights reserved.